Best R&B song of 1976 for "Lowdown". Best R&B vocal performance by a male for "Lowdown". Boz (and "Lowdown") garnered awards for best single for the year and best R&B single of the year. 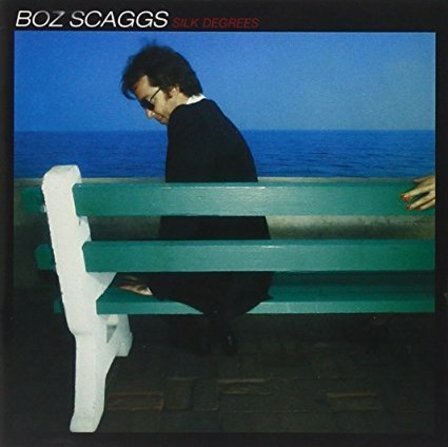 "The album "Silk Degrees" was an experience for me that I would wish for every musician, every creative person, because it was the fulfilment of a lot of work. It was arrival, it was finally one really got through to a lot of people. I was ready to go. I had a fine band, I had been out playing a lot and this thing finally reached an audience and struck a nerve in a big way. I got to play a lot more places and got to do a lot of things that I wanted to do." "Musically I discovered a whole new ground, a whole new footing for myself. I fell into a group of musicians who really understood my music and were able to lend their talents to getting it out of my head and onto the record. It was a very fulfilling experience and of course when you have something that hits a peak like that there's always the challenge to follow it up and to do it again and so forth..."
To the sad sad truth..